Figure 1. 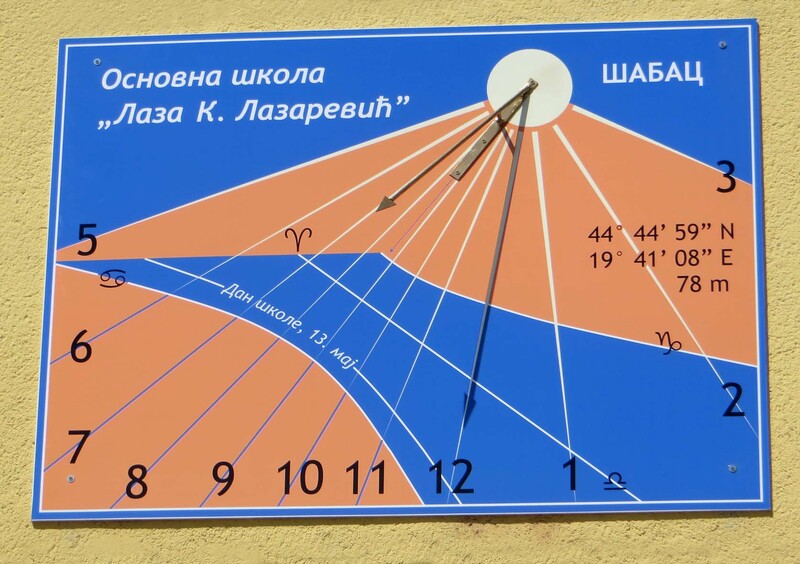 The sundial has been made on a PVC board (185 x 135 cm). Besides the solstice and equinox day, the shadow’s end also points to the school’s official holiday, the 13th of May. Figure 2. The sundial is just a part of the school’s “Geography Yard”. There are also an analemetic sundial and five different groups of “geographic signposts”. The signposts indicate directions and distances to selected world capitals, wonders of the world, national parks, famous Serbian monasteries and the highest mountain peak on each continent.